You may have been avoiding ketchup up until this point, it is full of sugar after all, and who knows where those tomatoes are coming from. 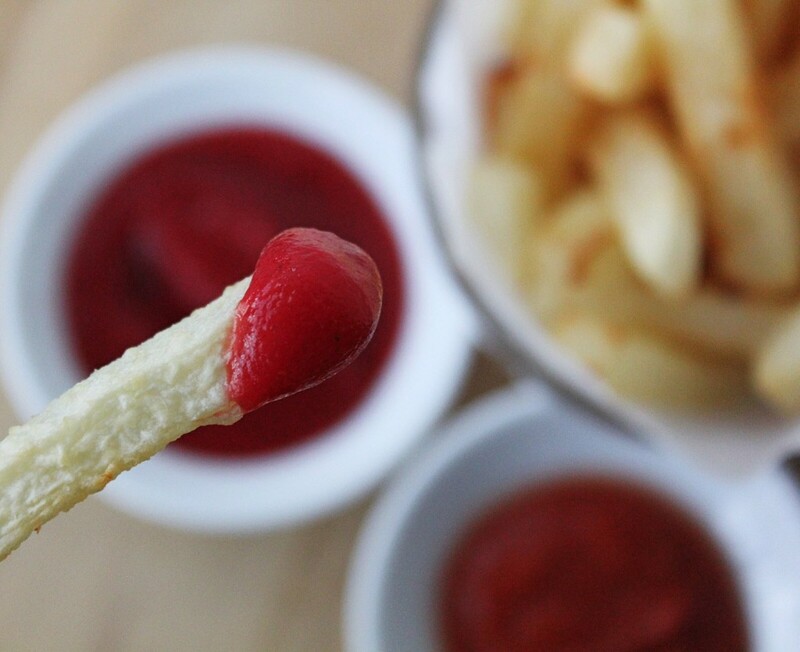 This post is not to encourage you to eat more ketchup (or fries or hotdogs!) but once in a while, a little bit of ketchup makes the world feel a little more normal, so a homemade, guilt-free recipe comes in handy. So here it is: sweetened with whole fruit, balanced with raw apple cider vinegar and of course tomatoes. It tastes like ketchup, not a fancy tomato chutney (which has it’s place, but isn’t ketchup), but has an echo of freshness that the store-bought variety lacks. Also, my husband likes it: ‘Dane, this is really good, hey when are you going to blog this…’ which really says a lot. He gets chili peppers in his. For many people, avoiding ketchup is as much because of the nightshades as anything else. The nightshade (solanaceae) family includes vegetables and fruit that are generally considered healthy (tomatoes, peppers, potatoes, eggplant, goji berries) but can cause inflammation in people who are sensitive to them. I have seen traditional cancer treatment create new food sensitivities in people and know how frustrating it can be when you are trying to eat clean, whole foods and they are actually causing you pain. 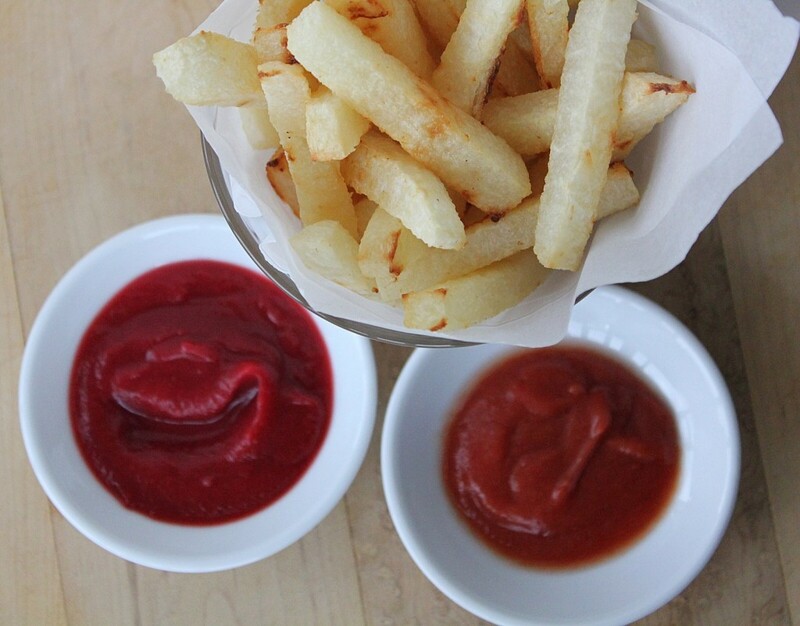 A second ketchup recipe, made without tomatoes was in order. 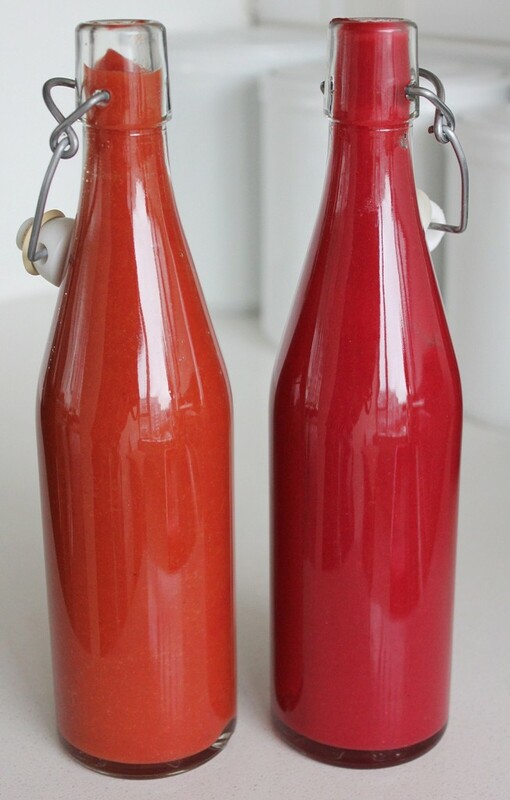 This solved two problems; eliminating the tomatoes for team nightshade-free and creating a homemade ketchup recipe that can be made using fresh, seasonal, ingredients even during the tomato-free months (almost every month for some of us). 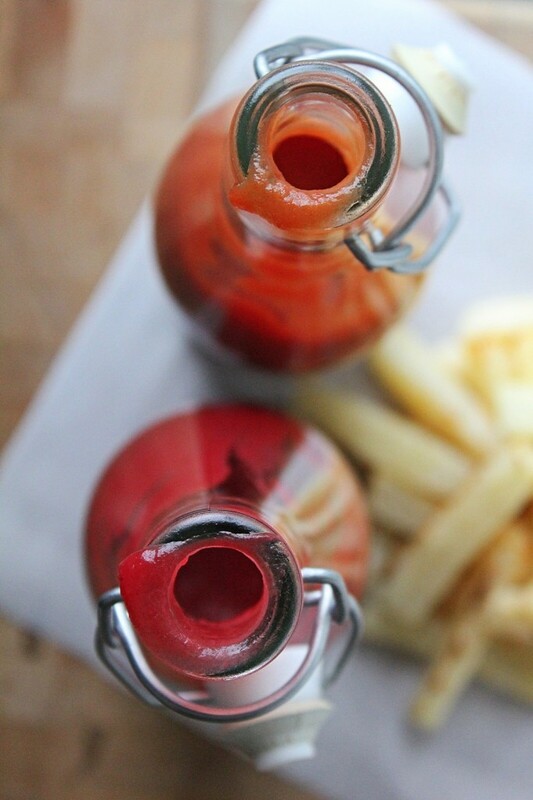 Just like with the tomato ketchup, we use whole fruit as the sweetener, raw apple cider vinegar to balance it, but then replace the tomatoes with carrots and beets. I know, it sounds weird and a long way from any ketchup you can recall ever letting get close to your veggie burger, but it tastes really good and is somehow still very ketchup-y in flavour. (My husband likes this one too, although he also stares at it like he doesn’t trust it. Don’t worry, you can). Both recipes will last for a week or two in your fridge, so making small batches when you need them usually works best. Store in a bottle or jar in your fridge, preferably right next to your homemade broccoli mustard. Steam the carrots, beets and apple until soft (7--10 minutes depending on how big your pieces are). Optional (but a good idea! ): Reserve the steam water to measure out and use as the water in this recipe. 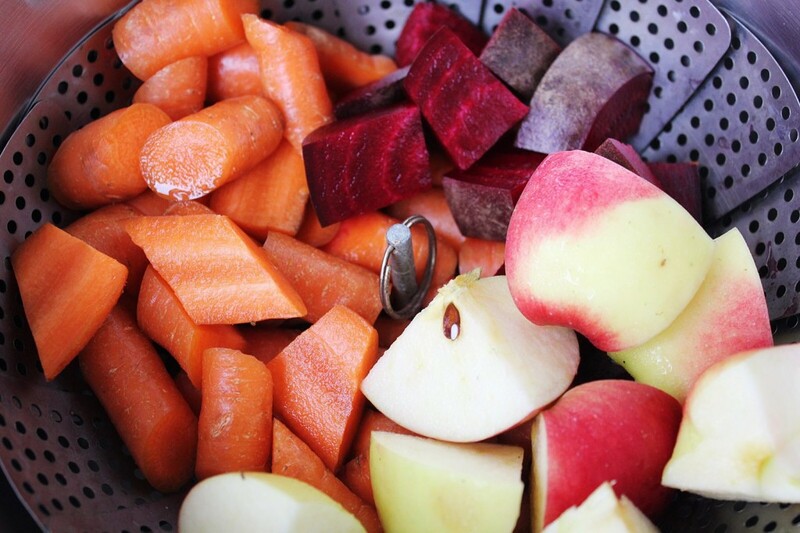 In a blender, purée the cooked carrots, beets and apple with the 1 cup of water until smooth. Let simmer on med/low for 5 minutes with a lid (so that it doesn't reduce). Pour back into the blender, add the raw ac vinegar and some sea(weed) salt and blend again until smooth. Adjust seasoning and pour into a bowl so that it can cool before you transfer to a bottle or jar. In a saucepan, pour the tomato purée, apple, dates, onion, clove and water. Pour into a blender with the raw ac vinegar and sea(weed) salt and blend until smooth. You have no idea how happy this makes me :) I’m so glad you found it (and made it! )Thanks for letting me know! I’m so glad you (and your niece) made it (and loved it)! I’m so happy to hear this, thank you! I have a sensitivity to nightshades and cannot eat tomatoes without experiencing a lot of pain. 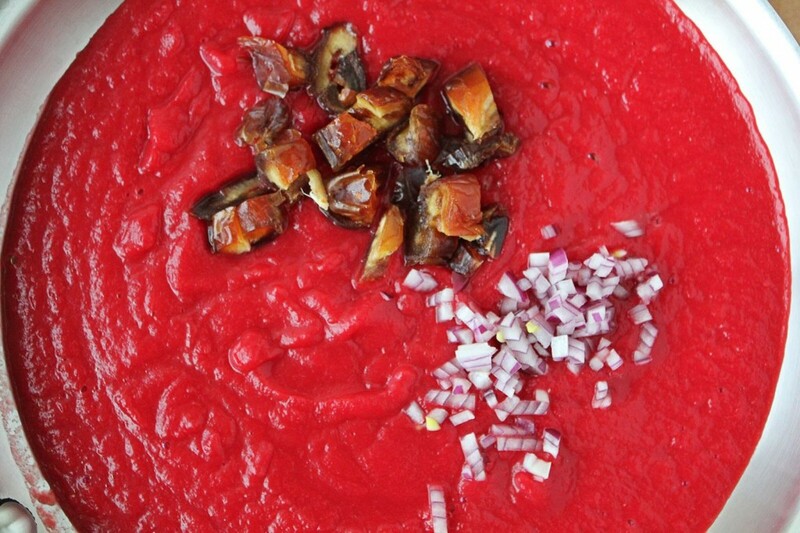 I thought I was forever going to have to live a miserable, ketchup-free existence UNTIL this amazing recipe for nightshade – free ketchup. It’s awesome! 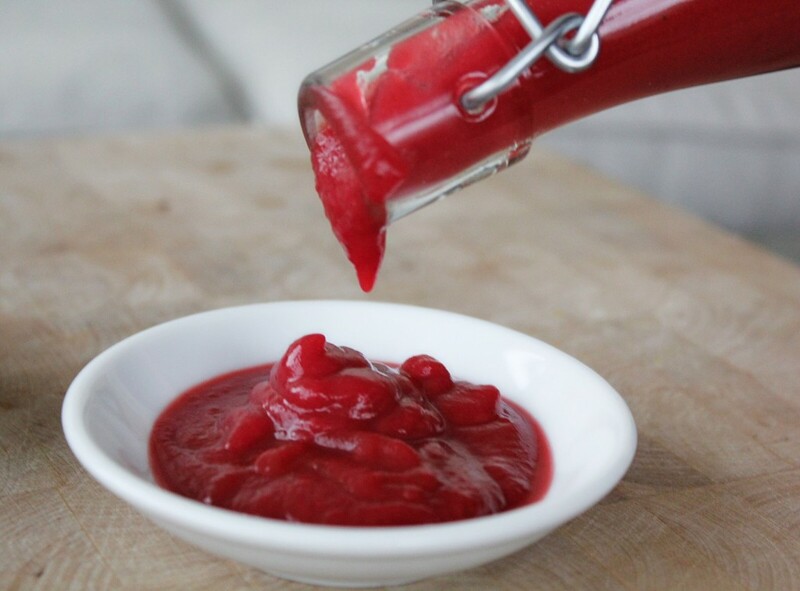 Tastes exactly like the ketchup of my childhood….. and it freezes beautifully in small, portion-sized containers. AND…my niece who has an extreme sensitivity to sugar was bemoaning the lack of ketchup in her life now that she has removed all sugar from her diet. I told her about the tomato version of the ketchup recipe and she has just called me to say she made her first batch today and it is AMAZING and her fiance loves it too. I think you’re going to be happy with it, Tammy! And it will still be good without the onions. Let me know what you think! I can’t wait to try this without tomato and onion. Due to allergy and onion sensitivity I have a tough time time with traditional recipes.